1, pipeline pump structure is compact, machine pump integration, small size. Its vertical structure has the installation of small area, stable operation, no adjustment to install. 2, pump inlet and outlet design into the same specifications of the same flange, and located in the same center line, can be directly installed in the pipeline as the valve, and the center is low, easy pipeline layout, easy installation. 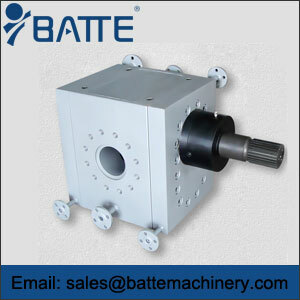 3, the pump and the motor coaxial, the axial size is short, so that the pump running more smoothly, low noise. 4, cancel the conventional shaft seal to avoid leakage of medium, so it has no leakage significant features. 1 pipeline pump applied to high-rise building booster water supply, garden sprinkler, cooling tower Sheung Shui, long-distance water, air conditioning, refrigeration flushing, bathroom and other cold; warm water circulation pressure. Use temperature 80 below. 2 pipeline pump for heating, boilers and other industries of high temperature hot water pressurized cycle. Use temperature 150 below. 3 pipeline pump is suitable for conveying food, pharmacy, wine, chemical and other industries in the process of corrosive media, using temperature 80 below. 4. Pipeline pump for conveying non corrosive liquid, methane or coal mine fixed equipment class I and factory IIA, II B level and temperature groups T1, T2, T3 and T4 were there is an explosive mixture of other industrial sites. Use temperature 80 below. 5. Pipeline pump for conveying chemical, pharmaceutical, petroleum, food, national defense industrial corrosive liquid, methane or coal mine fixed equipment class I and factory IIA, IIb and temperature groups T1, T2, T3 and T4 were there is an explosive mixture of other industrial sites. Use temperature 150 below.